President Trump’s shift in focus from politics to policy continues to keep the world guessing and on the defensive. Investors and traders found themselves in several crowded positions — short yen, short U.S. Treasuries, long the Tech sector — and were forced into a full retreat. Our forecast: in an extremely tough battle, the dollar bulls will be vanquished, and the dollar will continue to weaken this year — leading to a new record for consecutive quarterly losses. Are the trade tariffs a scare tactic? Trump’s trade negotiating style may be to throw a grenade in first, scare the enemy, then set up a new trade agreement — which ends up being much more benign than most initially forecast. Trump’s tariffs on Chinese goods may also be part of a strategic objective to rein in China’s global superpower ambitions. FX volatility cools off. The major currencies spent most of the month trading in fairly narrow ranges, which in turn led FX volatilities to lows not seen since early January. Despite extreme volatility in the equity markets, FX options are priced for a continuation of low volatility in the currency markets. Italy to form a new government. The Italian election on March 4 resulted in a hung parliament. Italian President Sergio Mattarella will now begin talks with parties on forming a new government. Although he has the power to name a prime minister, it is still unclear whether rivals can find common ground to form a coalition government — or whether another vote will be needed. Campaigning commences for Mexico’s presidential election. Corruption, drug-related violence/trafficking, energy reform, infrastructure — including a new airport for Mexico City — and, of course, President Trump will be hot topics of debate. This should support a higher UK pound in 2018. Dollar technical support buckles. Many market technicians argue that the long-term uptrend in the dollar — which began in 2011 and reversed in late 2016 (following Trump’s election) — is currently trading within a long-term downtrend, which may last several years. Geopolitical risks expand. The U.S., UK, Russia, Turkey, Italy, Spain, Mexico, North Korea and Brazil are among the actors playing out an ever-expanding geopolitical drama on the world’s stage. Global investors are becoming increasingly anxious, which has contributed to a major flight-to-safety — buying gold, Japanese yen and bonds of all stripes. This might be the year when geopolitical risks dominate fundamental economic factors in global investment decision-making. Emerging market currencies’ shine is dimming. There has been a marked erosion in the bullish sentiment of EM currencies, which has been in place since early 2016. In February, we saw an important bearish reversal in a closely watched EM currency index — and it looks likely to move lower again in Q2. The Fed’s new commander takes the wheel. In his first FOMC meeting as Fed Chairman, Jerome Powell marched the Fed rate up another 25 bps. His comments following the announcement, however, left analysts somewhat split between hawkish and dovish. He faces an extraordinary challenge in carrying out a regime change that continues to wean the markets off central bank liquidity — while providing excessively low interest rates. She remains a powerful, stable force in the world. Our forecast for the remainder of the year is for USDJPY to move higher as U.S. interest rates rise. Rely on Silicon Valley Bank for FX capabilities that can help your company minimize foreign currency risk and optimize returns. 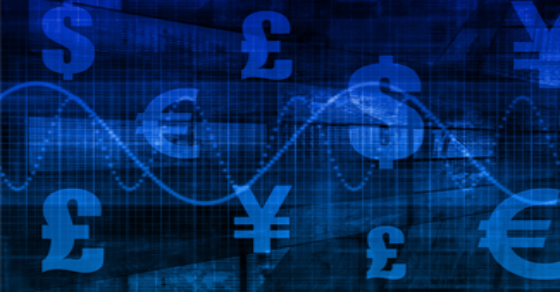 Our advisors and traders utilize the latest currency hedging tools to help you buy, sell and operate effectively in an increasingly volatile global marketplace — and gain a competitive advantage while managing global currency risk.